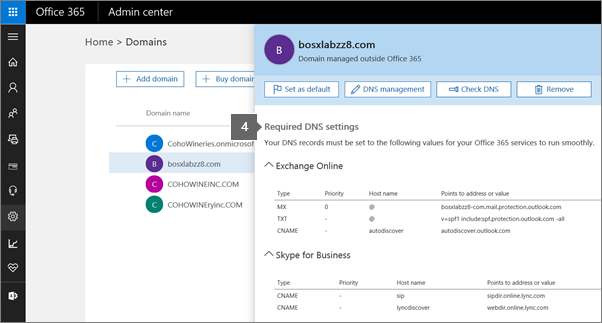 Don't worry about Office 365 warning you that your DNS records aren't set right. Those warnings don't know that you're still routing your mail to on-premises Exchange first. We will get this warning if there's no properly MX record and point to <MX token>.mail.protection.outlook.com (<MX token> is a value like MSxxxxxxx). It's a normal warning and we can ignore it if there has a valid MX record for your domain. Therefore, it's fine to leave this warning and point your MX record to On-premise.